Social media marketing for businesses is not a cut and dry medium for advertising. There are many nuances to getting social media right. There are plenty of “do’s and don’ts” as well. As we have seen in the past, it is easy to make some pretty drastic social media faux pas. Even though a big social media fail that garners negative attention to your business is bad, social media marketing mistakes can be even worse for your business in the long run. There are many different mistakes that business make when it comes to social media, here are 10 common mistakes that can tank your business’ social media efforts. Some companies focus too much on promotion on their social channels and end up getting no interactions or reactions and turning their followers off. Some businesses take the opposite approach and don’t post enough to keep reminding followers what you really do. Memes and funny pictures are great, and can be an important part of your social media mix, but you can’t post too much of them. Finding the right balance between engaging with your followers, engaging interactions and reminding them about what your business does is vital. Many companies think that in order to jump into social media, you have to cover all the bases. Sure, you should set up profiles on all the social channels to protect your name and establish your network; but nothing says that you have to post and interact on all of them. If you do not have an entire social media team working on posting and responding on each channel, then don’t attempt to cover all channels and not do it correctly. Instead, post periodically on the channels you own to let followers know where they can find you and interact with your brand. Then do the one or two channels you choose to do right. Social media is still about marketing and you should reach out to your social media fans in all the other ways that you market to your customers. Collect email addresses and add them to your newsletter. One way to collect social email addresses is to run contests, surveys or giveaways on social media. Make sure that you are compliant with all email marketing rules in the way that you collect data from your social media channels. Making money on social media has been a big area of controversy since its conception. Most companies will not directly generate revenue on social media. Of course, there are some exceptions to this rule; but for the most part, your goals on social media should be about engaging customers, building your brand and staying top of mind. Even if you aren’t expecting to make money on social media, that doesn’t mean that you shouldn’t measure your results. Measuring your results can let you know what works and what doesn’t. At the same time, if you are generating traffic or money, you need to know that so that you can make the most of it. Monitoring your media mentions is vital so that you can be sure to stay on top of interacting and responding to your fans and followers. Media intelligence also gives you a competitive advantage and helps you stay on top of all mentions throughout all media, online and offline and not just social channels. 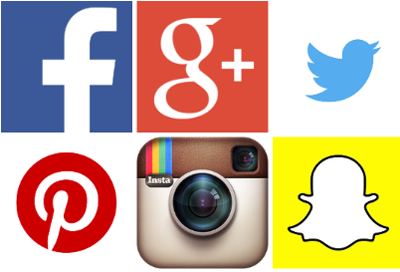 There are numerous tools that can help you monitor all forms of media, not just social. There are free and paid tools, depending on what your needs are and the size of your business. Social media marketing isn’t something that is a passing fad and your business can’t treat it as such. If you only use if sometimes or for certain events, it is not going to help serve your business. More and more, social media channels are communication portals for your customers. Many people will reach out to businesses for customer service on social channels. Monitoring your social media (#6 above) also helps ensure that you can respond in a timely manner. However timely your response will be is only half of it though. You have to respond quickly and correctly. It is very important to learn how to handle complaints and properly engage the people who make comments or complaints on your social channels. If you look at some of the infamous social media failures and crises created by posting the wrong thing on social media, it often has to do with real-time improper and tasteless use of hashtags or trending topics. Certain trending topics, especially tragedies, natural disasters and politics should be on your “do not touch” list. That eliminates most problems right there. If you do want to take advantage of trending topics or hashtags, be sure to fully research what they are all about before trying to piggyback your marketing on them. Social media marketing should be approached just like all other marketing campaigns. Develop a strategy, set up a plan for postings, content and cascade your content across your different channels. This will prevent you from posting too often, not enough, or forgetting to release important information across your social network. John Wieber is Partner at WebMoves, a hands on Internet marketing firm. He enjoys sharing social media marketing and online business development tips.